Jonathan was promoted to General Manager at Missouri on October 1st. Jonathan solidified this status over the last two months, doing a tremendous job leading the sales staff in an interim capacity. During this time, he hired several new staff members, while leading Missouri to their most successful revenue production of the year! 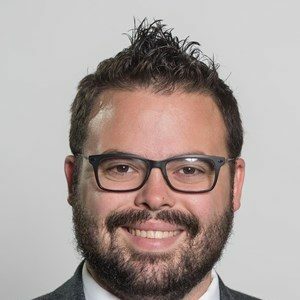 Jonathan originally joined the Missouri staff as it’s Associate General Manager in May of 2017 after spending the previous two and a half years as the General Manager for Northern Illinois University. Prior to Missouri and NIU, Jonathan was a member of the University of Northern Iowa sales staff for 18 months, where he began his career with IMGL in April of 2013. Originally from Noank, CT, Jonathan is a graduate of Penn State University and is looking forward to his new opportunity with the Missouri staff!